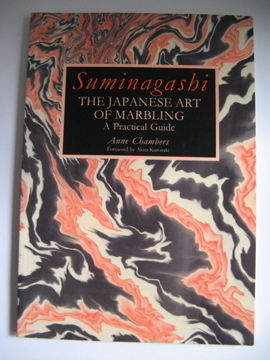 Full title: Suminagashi – The Japanese Art of Marbling – A Practical Guide. 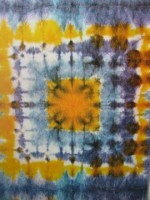 255 x 180mm, 80p. 64 illust., 34 in col. Col’d stif paper cover. 1st. Ed. 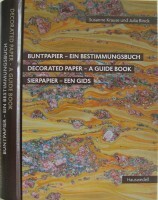 A definitive guide to the making and appreciation of Japanese marbled paper by the renown paper marbler. An as new copy.